Register for a first order discount to buy this for just £141.55, saving £7.45. 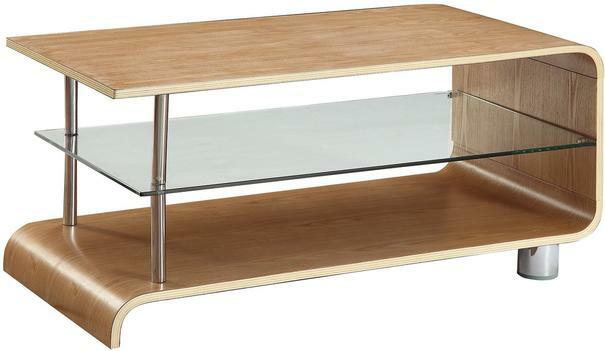 For a wonderful modern touch inside your living room or lounge space, the BS203 Coffee Table is the perfect choice. Made by top class furniture makers, the table includes lovely curves and combines a host of materials to create a stunning centre piece. The table comes with a smooth top surface and a gorgeous curved bottom. These are topped with a walnut finish to provide warmth and a bit of traditional feel. Meanwhile, you get a glass shelf in between the top and bottom wood shelves to inject a modern feel to the table. The chrome supports also make the table extra interesting and modern.